Police are investigating after a tiger was found in a home in Houston Monday, reports the CBS affiliate there, KHOU-TV. The cage that kept the animal was not large or sturdy enough to hold the tiger, the station reported. They were trying to get into this house to smoke marijuana. Officials said the tiger will be taken to another facility, where it will stay permanently, Tuesday. An anonymous tipster contacted the city's authorities to let them know about the unusual find and said that at first they believed they were hallucinating when they first saw the big cat. The location isn't being made public while an investigation into who owns the tiger continues. 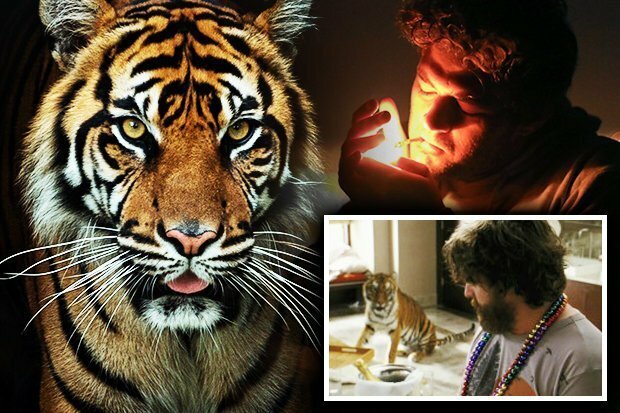 Based on a city ordinance, keeping a tiger at a residential home is illegal. "More often than not it gets big, it gets expensive, it gets risky, and they end up turning the animal in or abandoning it". Houston Zoo told KPRC-TV it did not have the resources to give the animal a home. They are endangered - the WWF estimates there are fewer than 4,000 left in the wild.